I’m beyond bitter that I have to work today. My husband is off, my parents are off, my in-laws are off…what the heck. But to make my morning a little brighter, I have a plan. Leftover eggrolls. For breakfast. (No, really). While unorthodox breakfast selections are not my norm, these were the highlight of my weekend. I adore Chinese take-out, but since it’s something Mr. Prevention and I don’t share a love for, I usually only have it on the rare occasion when I’m back home in Chicago. In which case, my parents place the order and when my dad’s around, that order most certainly includes eggrolls. Which, naturally, are deep-fried…and delicious. I’ve had a lot of luck with baking foods to a crispy perfection…a crispy perfection that could be mistaken for deep-frying. I mean, who does love a crispy….everything? Just like Biggest Loser “Fried” Chicken, “fried” pickles, green bean fries, buffalo chicken wings, and faux fried calamari these were a huge success. So successful that similar to the aforementioned recipes, there’s no need to fry when the end result is just as tasty…and much, much healthier (and less messy). Despite his claims of not liking eggrolls, Mr. Prevention also enjoyed these…a lot. If I’m being honest, these were my dinner…and I ate 5 of them. Mr. P was good for 4 eggrolls, plus plenty of Buffalo Chicken Dip (duh). It’s safe to say they were a huge hit. There are 4 left for breakfast and I’m thinking I need all 4 to start this day off right (besides, that’s only 320 calories and less than 5 grams of fat!). 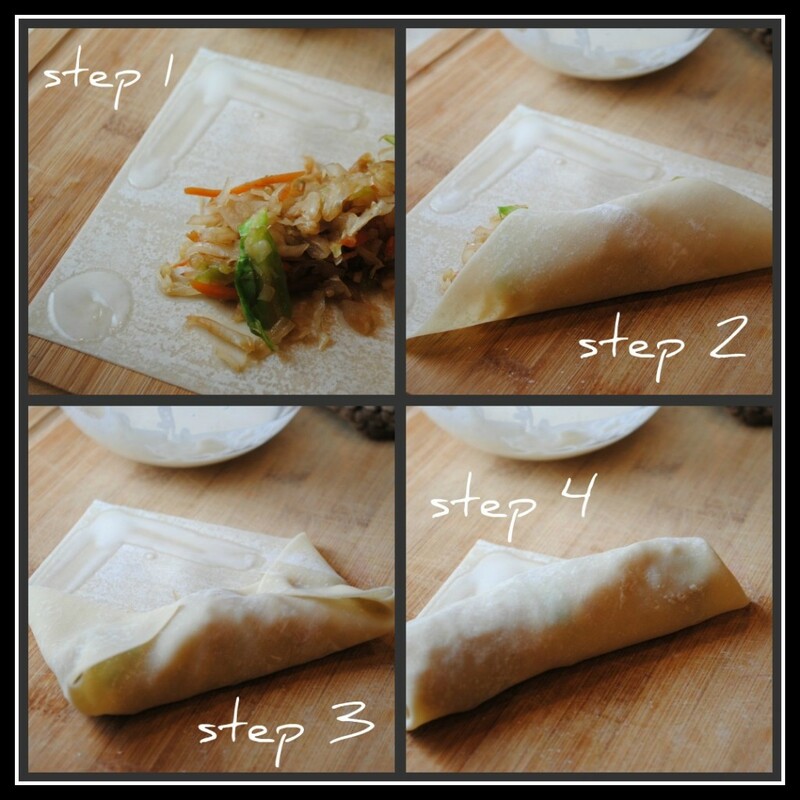 If you’re a bit skeptical about your eggrolling abilities (don’t worry, I was too), I hope the step-by-step photos above will help. The eggroll wrappers can be found in the refrigerated produce or “health foods” section most grocers at a very reasonable cost. They are easy to work with and keep well for several weeks after being opened. Good thing, because I can’t wait to make these again! Preheat oven to 425 F. Spray a baking sheet with cooking spray and set aside. In a large skillet, heat olive oil over medium heat. Once hot, add the coleslaw mix and garlic. Saute 4-5 minutes or until cabbage has softened, but not soggy. Add the ginger and soy sauce; stir to combine. In a small dish, whisk together the flour and water to form a thin paste. Spoon 3 tablespoons of cabbage mixture into the middle of each of 12 eggroll wrappers. Working at a diagonal, use a finger to smear some of the flour-water paste on each of three corners of the wrapper. Roll from the side not smeared and seal each wrapper into a log. Place each eggroll onto the baking sheet. Bake eggrolls for 12-14 minutes or until beginning to brown. For added crispiness, put the eggrolls under the broiler for 1-2 minutes, checking every 20-30 seconds. Remove and allow to cool for several moments. Serve with sweet and sour sauce. Yield: 6 servings (2 eggrolls each). Result: Who needs to deep fry when you can bake to a crispy perfection? 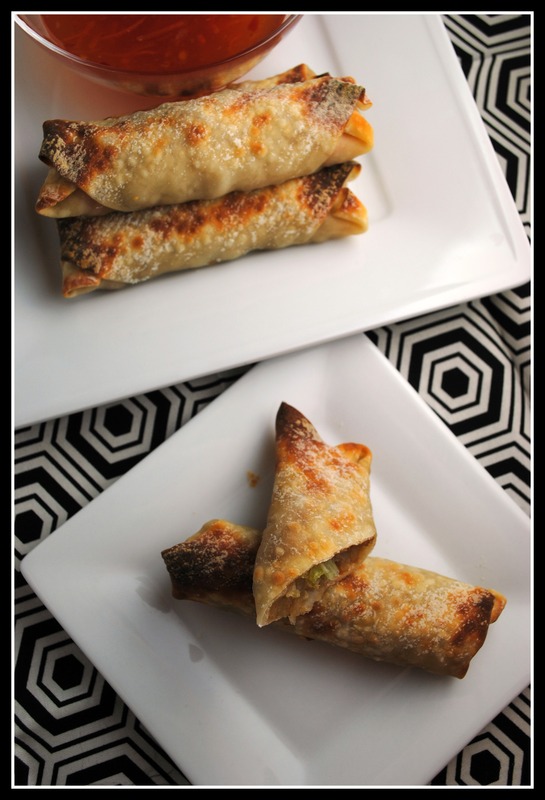 These could easily be mistaken for take-out eggrolls…yep, they’re that good, and simple, too! Enjoy! Off to work I go. GRUMBLE GRUMBLE. Ooh this looks even joy able suhweet! 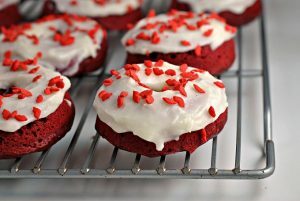 These look easy and yummy! I’m hesitant to make my own eggrolls because of the frying but it looks like you’ve solved that problem for me! Sorry you have to work today, that’s a bummer! 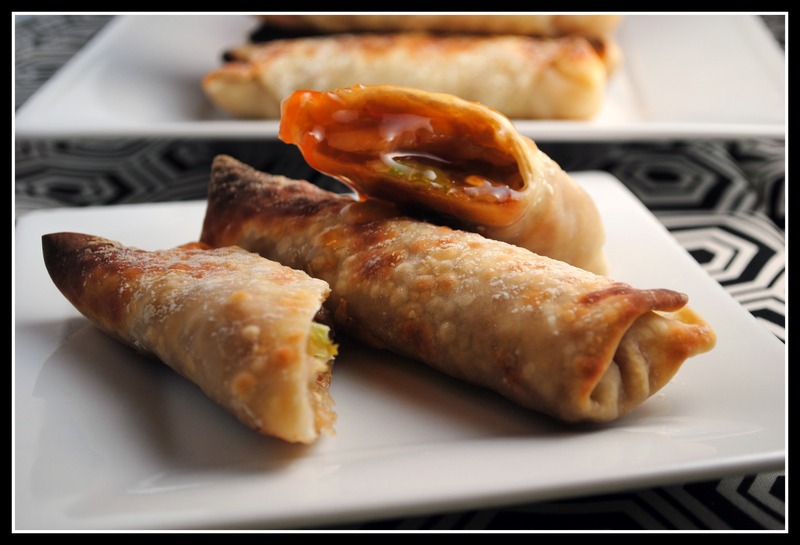 I’ve never made my own eggrolls– these look great! Happy New Year, my friend! I’m so happy we “met” and I can’t wait to see where the new year takes you. 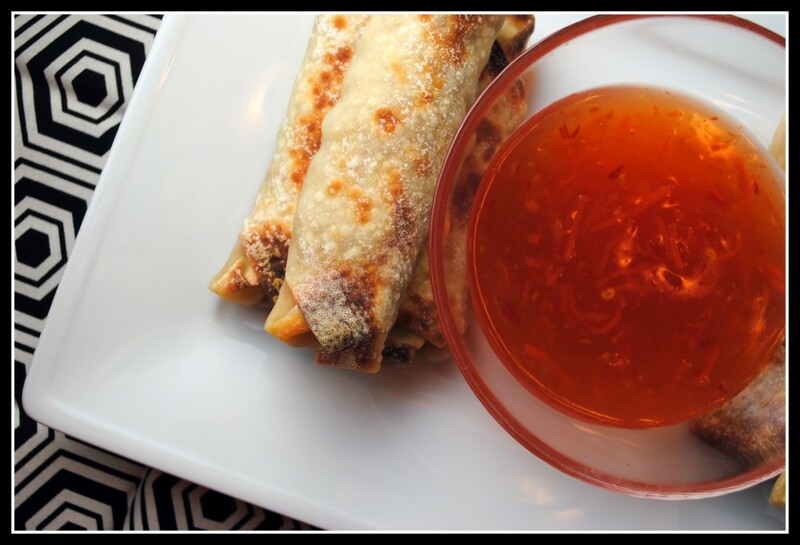 I LOVE baked eggrolls and it’s been way too long since I’ve made them — these look amazing! These look soo good. I make them the same way but I add fresh bean sprouts. That dipping suace looks yummy too. Happy New Year! I’ve been thinking about these non-stop since I saw them on Branny’s blog. The photos next to that delicious sauce are making me think I’ll make them sooner than I thought! I’m sorry you have to go to work today. Such a bummer. I need to make these now!! wow this looks amazing!!!! thank you for sharing, a great inspiring way to start 2012! baking is the way to go! 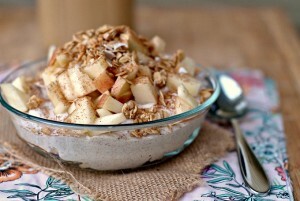 Love the step by step guide…Happy Breakfast! This is definitely a must try. Thanks for the post. These sound great and I love that they are baked and not fried. I really do need to make egg rolls some time and I definitely plan to do them baked when the time comes. I feel your pain . Working in Dialysis =working most days that the rest of the world has off.Who wants to get out of bed and leave everyone else sleeping. But I love the eggroll recipe . I have been baking egg rolls and freezing them until ready to use for a long time . I add Grd Turkey to them too. Got my Donut pan as a gift and ready to start baking … Plan on starting with blueberry and lemon . I ‘m excited! These look great – simple too! I’m sorry you had to work yesterday…but at least you had a delicious breakfast! These look awesome! I made some chicken curry baked eggrolls a while back and could not believe how crispy they turned out. No more frying!! This recipe is amazing, much better than I thought it would be! Thanks so much for sharing! Lexy: Thank you! I couldn’t agree more…this is a keeper recipe, for sure! Trying these this weekend! Any idea of they would freeze well and how you could reheat them if frozen? 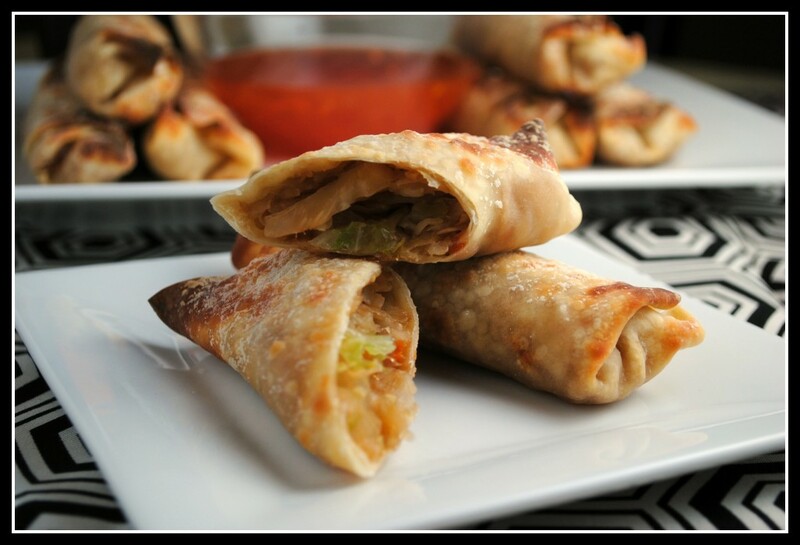 I often buy premade egg rolls as a quick dinner before teaching at night and would love to start making them myself! Hey girlie 🙂 I think they would freeze really well, actually. Just make them as you would and then freeze them for probably up to 3 months. I would reheat in the oven on 350 for about 10-12 minutes and see if they’re warmed through (I’m thinking so). Hopefully that works…I think it’s a great idea! And, I think you’ll love them! I tried making the egg roles. The filling was delicious, but the wrappers seemed papery and bland. (but crispy.) It seemed like they needed some liquid or something. Think I missed a step? I did not spray them – perhaps that was my missing step! I’ll try reheating them and spraying and see if that helps. I did have sweet and sour to dip, but my husband won’t eat it! Maybe I can come up with something else for him to dip his in. Thank you for the recipe! Yum! I made the filling components one day and have assembled/cooked the eggrolls two separate times. Neither time could I get them to be really crispy, mostly hard. The filling is still delicious though and it’s worth the lack of crispiness to be able to eat eggrolls on WW. I combined a couple recipes/methods and added a little ground chicken. I dip them in a little bottled orange sauce mixed with some soy sauce. I have some leftovers in the freezer uncooked, a little filling in the freezer and several cooked ones in the fridge for another meal! With chicken, 4 of these baby’s are approximately 9 Weight Watchers Points! Ellen: Sounds like you got them perfected! 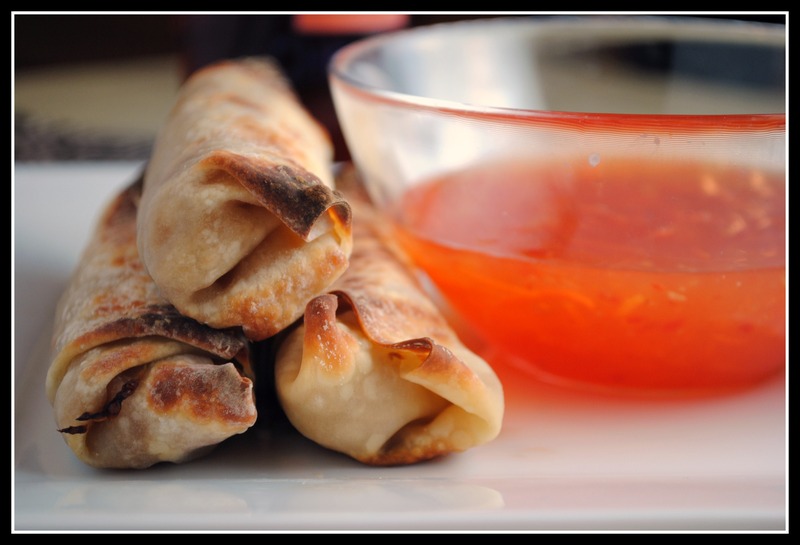 I love that bottled orange sauce…perfect on eggrolls!